Free ground Shipping on Any Purchase Over $100! 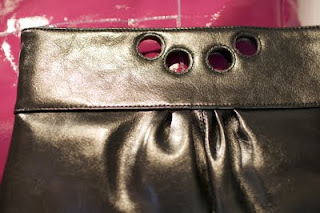 Home › News › brass knuckle bag. April 25, 2015 The Puget Sound Quilt. January 22, 2015 glassy eyed. January 20, 2015 It's about time. January 18, 2015 Just in case. January 16, 2015 Good advice. January 14, 2015 It's our Winter sale! A little tough, a little ladylike. 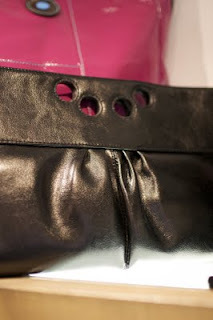 Carry it clutch style, or use the drop in shoulder when you want your hands free. The feminine gathering, the brass knuckle handle. Soft, supple leather dyed biker jacket black. This clutch/shoulder bag is a symphony of contradictions. But it's kind of fun to keep them guessing, right?